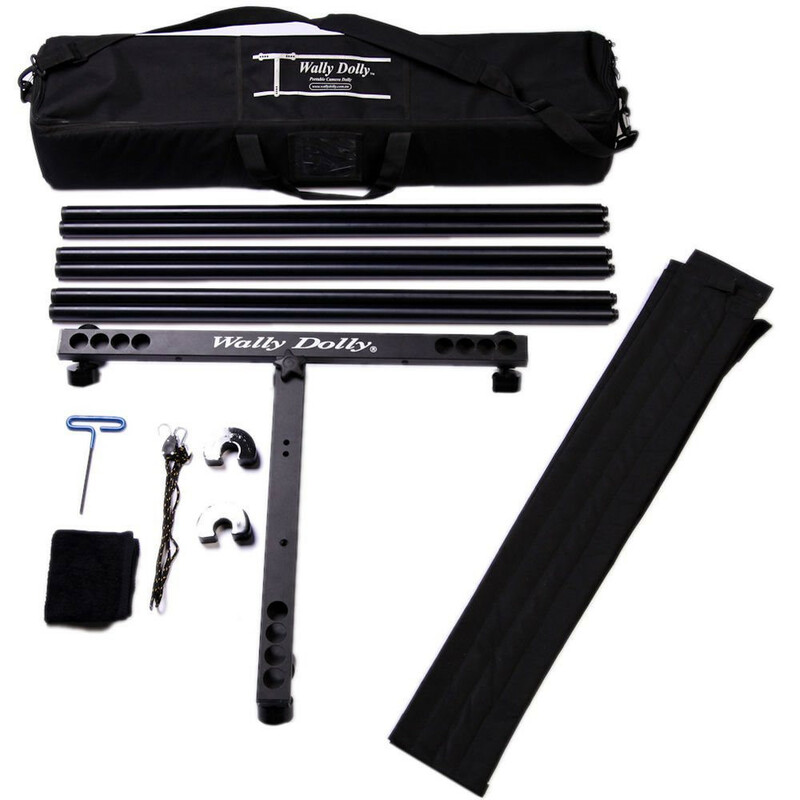 The Wally Dolly is the most versatile and affordable camera dolly available. It allows the camera operator to have complete control of each dolly move as no other operator is required. The Wally Dolly comes complete with a 3 metre track system. This unique track system is made of aluminium and each section simply screws together by Acetal male and female plugs to form a SEAMLESS JOINT. Track pads are included with all kits to absorb any track noise and keep the track clean from dirty surfaces. The lightweight and compact design of the Wally Dolly and track system make it portable and minimal setup time is required. 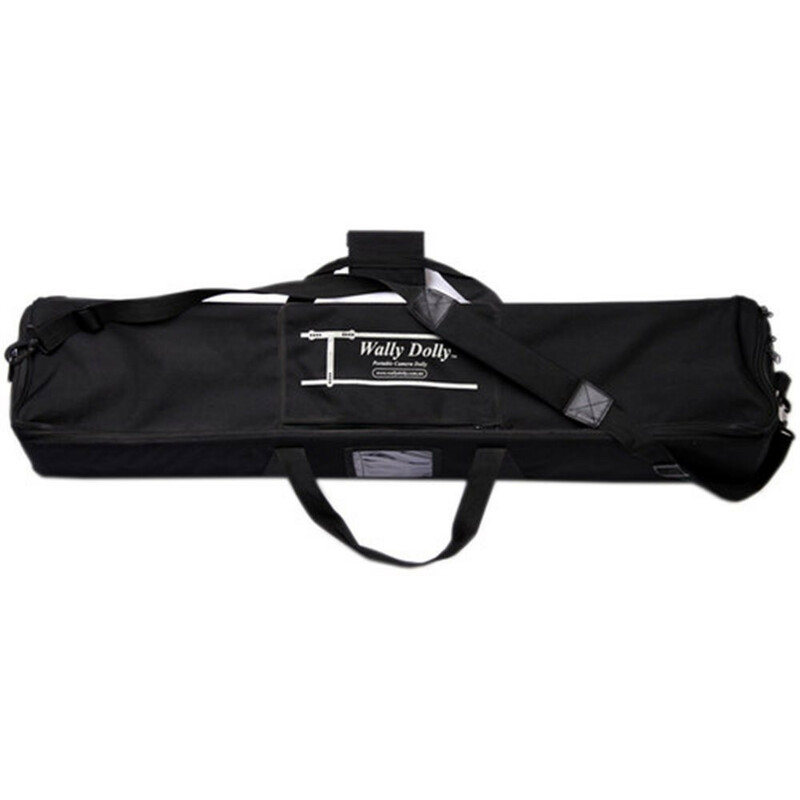 It is ideal for corporate, ENG or documentary shoots and travels safely in its own soft durable padded bag. 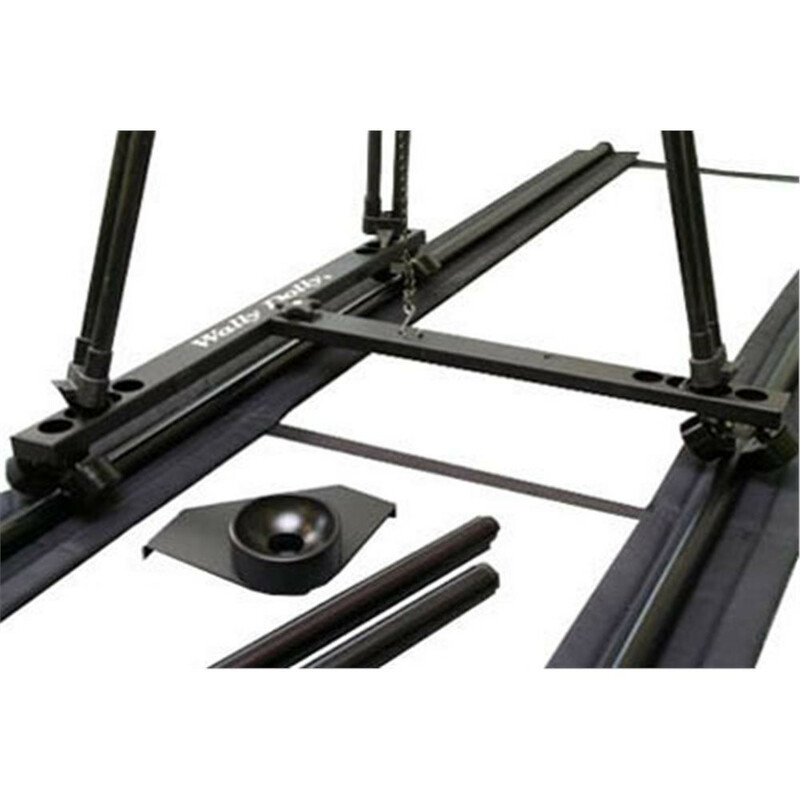 The basic 3 metre Wally Dolly Track System can be extended by 1 metre increments to any desired length. The Low Boy Camera mount is also available for those hard to get low shots. It attaches directly onto the Wally Dolly in seconds and has a 100mm bowl suitable for most ENG pan and tilt heads.